The scientists are, however, confident that this setback will not affect future launches. It appears the satellite is now lost and only the formality of declaring it a failure remains. CHENNAI: Nearly three decades have gone by since an INSAT-1C satellite was knocked out by power failure. A similar error has now rendered the GSAT-6A satellite untraceable even by powerful optical tracking system of the North American Aerospace Defense Command (NORAD). It appears the satellite is now lost and only the formality of declaring it a failure remains. Senior scientists who spoke to Deccan Chronicle on the condition of anonymity said there is literally little or no hope of finding the satellite as NORAD which would otherwise spot the space debris not been able to track the satellite which has gone into a 'switch off' mode. “It appears to be a total power system failure. A similar error had happened with the INSAT-1C satellite in which after the deployment the satellite was dead due to the power failure. It looks like the same thing happened here as well,” one scientist said. During the orbit-raising manoeuvre, the power connection could have short-circuited. “The batteries should have come into operation. But they have not done so. It looks like that the power connection between electronics systems and batteries or solar panels have failed,” scientists observed. The scientists are, however, confident that this setback will not affect future launches. “It is very unfortunate and such error has happened after three decades,” they observed. The scientists are also trying all possible ways at Master Control Facility in Hassan, Karnataka to revive the satellite. Though top officials are still hopeful of re-establishing contact with the missing satellite, sources felt the satellite was lost forever. “Though it orbits very close to earth, we are not able to communicate with it,” they said. A top scientist told this paper that if the mission has failed, it would still be a great learning curve for scientists in Isro. He also added that it will not affect any future missions Isro has constituted a failure analysis committee headed by P.S. Goel, former director, Isro Satellite Centre. Scientists have expressed hope that the committee would likely to come out with the report in few weeks. 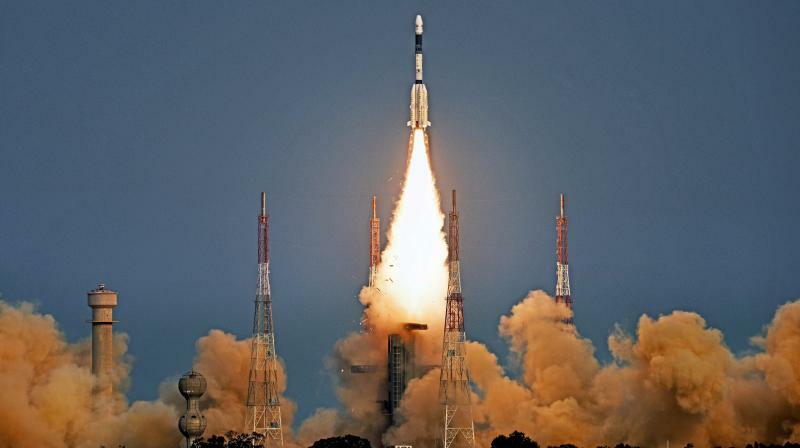 The Rs 270-crore worth satellite was injected into temporary orbit and subsequently, the satellite was to be taken to the final orbit after three orbit raising manoeuvres. After performing the second orbit raising operation on Saturday, the link with the satellite was lost.